Large, flavorful shrimp seasoned with fresh herbs, then slightly grilled and served on twice-fried golden plantains sprinkled with sea salt. Accompanying this dish a side of Pico de Gallo, a medley of fresh tomatoes, onion, jalapeno tossed in lime juice. This root vegetable dish is one of our most famous appetizers. The chef oven bakes the yucca to retain its sweetness and delicate interior and then it is flash pan-fried to create a golden crust. It is served with a creamy, slightly spicy Chipotle sauce with freshly chopped cilantro. Tender chicken breast marinated overnight in home-made Jamaican jerk sauce, skewered with onions, red and green peppers and then seared on a grill. It is served with tangy, picante dipping peppersauce. 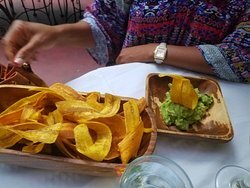 Daily purchased avocados from Mexico freshly mashed and tossed with jalapeno, onions and crush herbs served with golden brown freshly fried Caribbean plantain chips. This is one of our most sold dishes. Spanish pork sausage seasoned with delicate spices, sautéed in fragrant white onions, cut into thick slices and served with warm, garlic toast, soft in the center with a slightly crunchy edge. Succulent pieces of meat minced and seasoned with fresh herbs, rolled in breadcrumbs and slightly pan-fried for a golden crust. Served with a tangy, creamy, homemade horseradish dipping sauce. Finely shredded beef, flavored with spices, enclosed in a tortilla shell, flash-fried to golden brown and complimented by sweet and spicy red dipping sauce. Feta cheese, olives, ripe tomato, capers & parsley in balsamic vinaigrette. Tossed seasonal baby greens with red onion & sprinkled with diced avocado on a red wine vinaigrette. Fresh mixed greens and sharp goat cheese, sprinkled with crushed walnuts and garnished with cranberry accents. Described as "the best this side of the Florida Keys". Described as "the liquid cure for most ailments". White Rice, Dirty Rice - or - Rebecca's Exclusive Coconut Mashed Yams. 3-day marinated long, slender, skirt steak, pounded daily to tenderize the meat, char-grilled to your choice of perfection to bring out its intense flavor. Served with golden brown yucca fritas and a light, refreshing onion and cilantro salsa. Slow marinated sheered angus steak, tumbled with sautéed red and green peppers, onions and olives, served floating in a deep spiced red wine tomato sauce. Caribbean Gulf shrimp, broiled and then sautéed in fresh coconut milk with a mix of Thai Basil and crushed red Chilies. 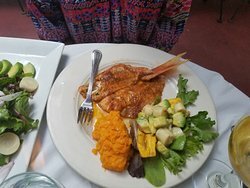 A seafood delicacy seasoned and broiled with rich, sweet butter sauce, balanced with spicy bits of pepper flakes and served with creamy avocado and tart hearts of palm. 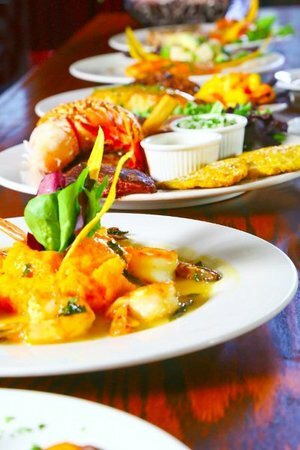 A full-flavored, herbaceous shrimp dish topped with Caribbean fruit salsa, and served with sweet plantain maduros. Decadent shrimp smothered in a spicy mix of chopped tomatillo and jalapeno, perfumed with fragrant cilantro and served with fresh tomatoes. Marinated w/ jerk seasoning, mango, pineapple & papaya salsa. A traditional Cuban recipe – Tender pieces of pork marinated overnight, then slowly roasted to release its intense flavor, paired with a zesty mojo sauce. Lightly seasoned salmon filet seared in a lemon-flavored butter sauce, finished with fresh, juicy grapefruit topping. A soy marinated block of tuna, blackened with a pepper crust and grill striped for flavor served with Pico de Gallo salsa on a bed of baby greens and plantain chips. An invigorating, sinful coffee shot that is made with the darker roast. Similar to the latte, luxurious Cuban coffee topped with warm milk. A silky filling made of condensed milk combined with vibrant lime juice in a moist graham pie crust. Buttery rice cooked in rich milk, dusted with cinnamon and topped with fresh whipped cream. A delicate twist on a savory pastry, guava puree with bits of soft cheese wrapped in crispy dough shell. A perfect dance of bread, milk and sugar, drizzled with velvety, cream sauce with subtle hints of bourbon. Smooth, milky custard laced with espresso flavor and topped with a brittle, caramelized layer. Melt-in-your-mouth baked custard, dripping in warm gooey caramel. Insert description here. Insert description here. Insert description here. Insert description here. Insert description here. Insert description here. Insert description here. Made by simmering soaked, dried black beans for hours, seasoned with cumin, chili powder and black pepper. Green (unripe) plantains are peeled, sliced length-wise, diagonally, or width-wise, and then twice fried. The raw slices of plantains are fried for one to two minutes on each side until they are golden in color, and removed and patted for excess cooking oil. Afterwards, they are pounded flat with a hinged utensil. The flattened plantain slices are then fried once again until they are crisp and golden brown. Sweet ripe Caribbean plantains slowly broiled in flavored water, and flash fried in vegetable oil to bring out the golden crust. 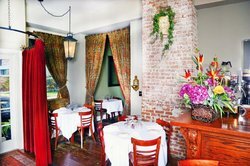 Every main course comes with a complimentary side of White Rice, Dirty Rice, or Coconut Mashed Yams. Additional sides can be purchased. La nourriture des Caraïbes avec un service et une ambiance tranquille. 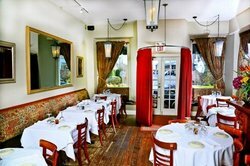 Quelques unes des plats tels que des hors- d'œuvre et les salades sont excellents. Plats principaux juste moyen. J'ai adoré cet endroit. Très confortable et très bonne ambiance. La cuisine était correcte. La région, où se trouve un peu étroites et qu'en gros, il n'y a qu'un parking disponible. Agréable petit hôtel avec un authentique cuisine cubaine. 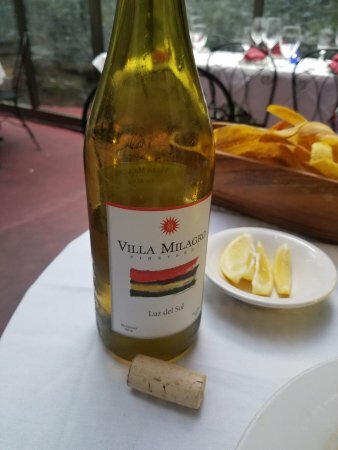 Excellent restaurant! Excellent service ! Obtenez des réponses rapides du personnel et personnes ayant visité le Rebecca's Restaurant.